You know we are big on sneaking in the fine motor skill development around here, right? We are also a bit of book fans, so when we decided to make a book-inspired Christmas tree ornament, we went with the book, "little tree" by e.e. cummings and made a little fingerprint Christmas tree. We read the book, little tree by e.e. cummings (Illustrated by Deborah Kogan Ray). This book is a poem that describes a little tree that children chose and carried home to decorate in their city apartment. They are very loving and proud of their little tree. The warm pencil drawings that illustrate the book make you feel the love the kids have for their Christmas tree. 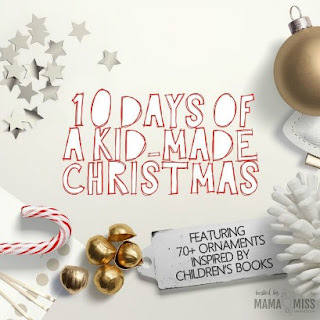 This book and poem make you realize that it's the little things and not flashy decorations that really matter this season. We made our ornament with a little fingerprint tree that can be looked back on each year. We added to the fingerprint tree, simple and small layers that aren't flashy or bright, but just warm and comfortable. 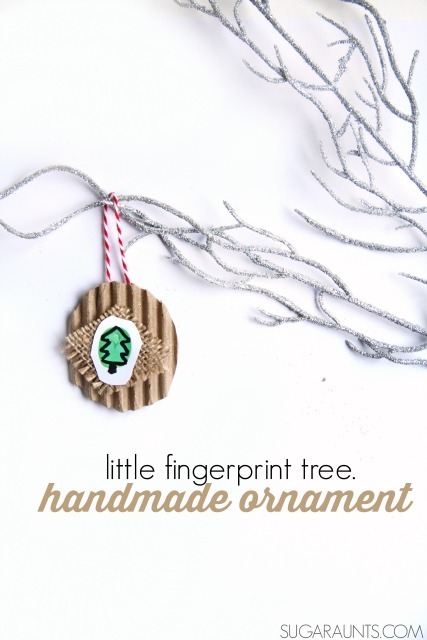 We love to create handmade Christmas ornaments each year with fingerprints or handprints. I love to see their little fingerprints each year when we pull out the Christmas decorations each year. You might have seen a recent post sharing the importance of fingerprint art in fine motor development, specifically finger isolation. 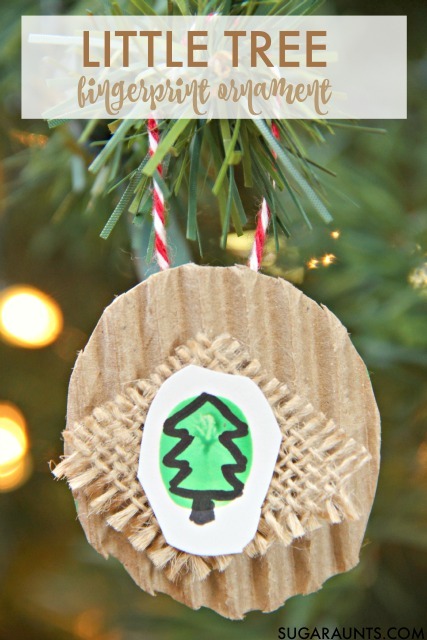 This fingerprint Christmas tree ornament is a fine motor workout! 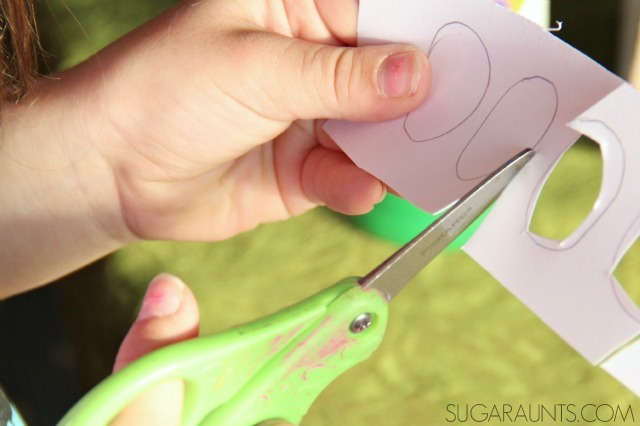 Cut small oval shapes from white cardstock . 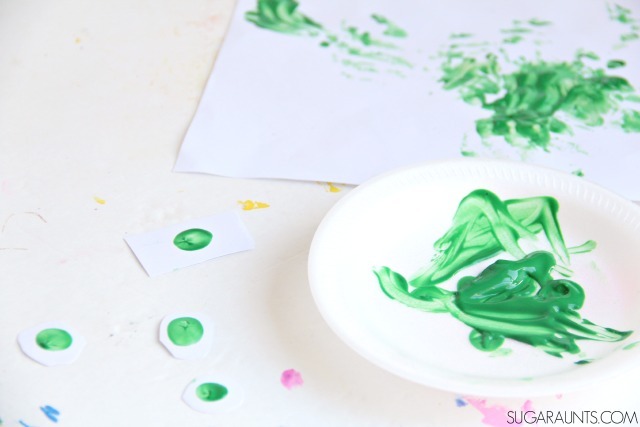 Next, have your kids make fingerprints with green paint on the ovals. 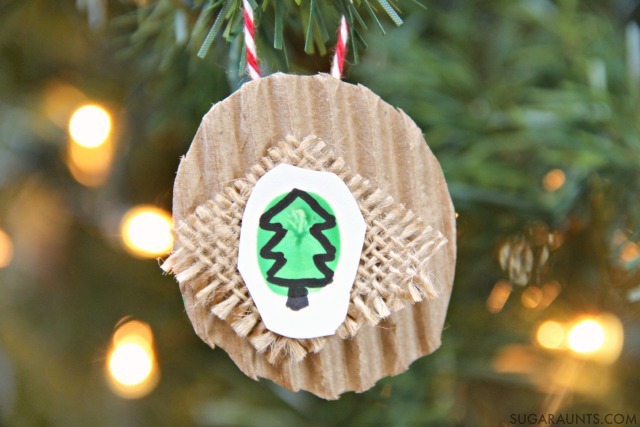 To make our fingerprint tree ornaments, we grabbed some corrugated cardboard. Ok. If you are looking for a fine motor activity for the kids, grab the nearest cardboard box. This time of year, you might be receiving packages in the mail. Save those cardboard boxes! 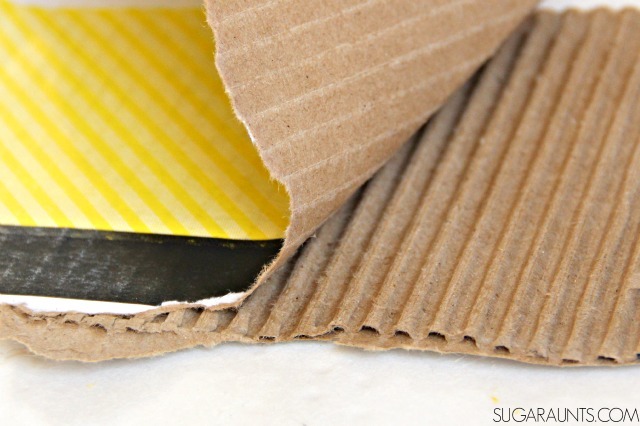 Peeling the top layer from corrugated cardboard really works on arch development of the hands and intrinsic muscle strength. This is an activity that I love to recommend as an Occupational Therapist. 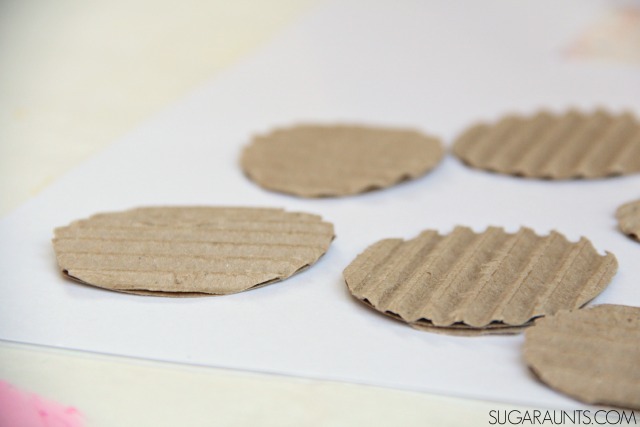 Cut the peeled cardboard into circles. Draw a Christmas tree shape onto the fingerprint. Add a small piece of burlap with glue. 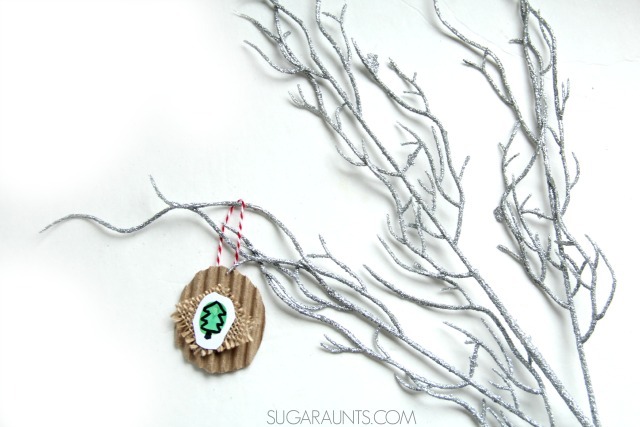 Tape a length of baker's twine to the back of the ornament. 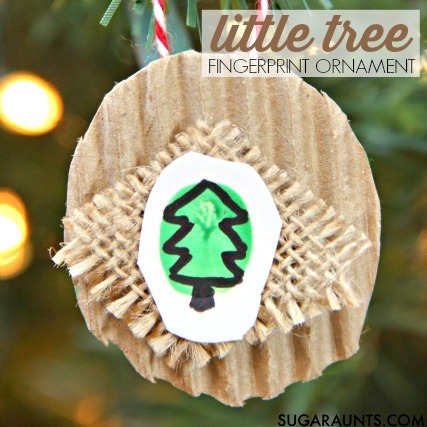 Hang the little trees in your Christmas tree and notice how little your child's fingerprints are! This is an ornament I will cherish as my babies' (and their fingerprints grow! This ornament is based on a Christmas book and part of the 10 Days of Kid-Made Christmas series. Try this at home! Pin it here.